Conversations on school safety are much important than ever. School owners should always set safety measures ahead towards protecting everyone who steps their feet into the school compound. The building structures are the first things people see to identify a place as a school. School owners should be mindful of ensuring that quality control is ensured in school building construction. Employ the services architects, quantity surveyors, civil engineers and other professionals, depending on the enormity of the structures. Using inferior building materials may lead to collapsed buildings, electric fire and susceptibility to flood. Avoid such! Proprietors would not afford to jeopardise the safety of anyone who uses the school facility. Your school environment should be as conducive as possible. The other structures around the school may have some effect on the school and pupils therein. Markets, religious centres, petrol stations, dump sites, disco houses and other elements of health and environmental hazards should be nowhere near schools. Of course, building construction professionals would put ventilation into consideration. That is even more important as people start occupying the building. Air conditioners and fans should be placed in strategic locations. Poor ventilation may have negative effect on learning. We can’t afford to have incidences of fainting, excessive sweating, asphyxiation, and other thing that may result poor ventilation in our schools. As there are provisions for ventilation, overcrowding should be limited. Every school should at least adhere to the minimum teacher-student ratio of the government. 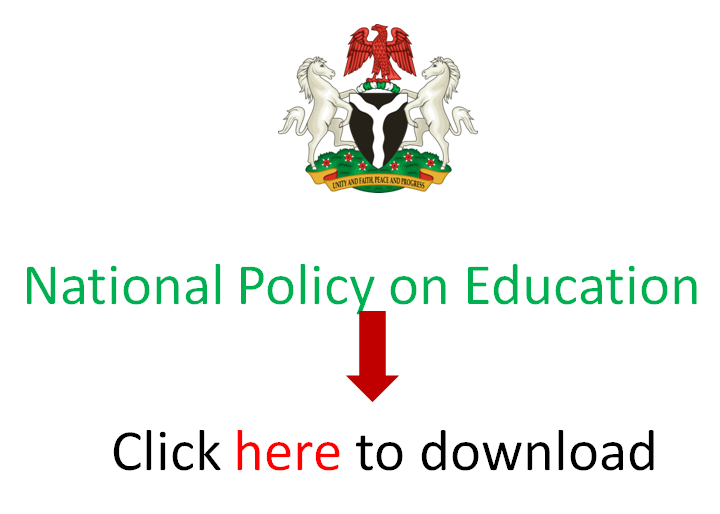 According to the National Policy on Education, at the Early Childhood Education level, it is 1:25. At the Primary School, it is 1:35 and at the Junior Secondary School level, it is 1:40. Overcrowding can lead to stampede in emergencies. Where larger numbers of students have to gather at any point, the ‘right to space’ of everyone there must be protected. This helps users identify the location equipment and know where to go in the event of an emergency. Everyone should be taught what each signage is, especially when such are not expressed in words. As part of measures to guarantee the safety of visitors into your school, it is important to have more than one exit point in every room and building within the school. Emergency exits will help to provide alternative roots of escape in the even of a fire outbreak or other incidents. A Close Circuit Television (CCTV) is increasingly becoming necessary to keep visual record of happenings everywhere. More schools should include CCTV as part of their basic school infrastructure as part of commitment to protect and monitor staff and students. Every school should have some healthcare facility in form of a sickbay. If not any other thing, a first aid box is cheap to purchase and equip. In cases of emergencies, personnel in the school should be able to treat students and personnel in the event of any injury or illness. While anyone thus trained can administer first aid treatment, it is also important to employ qualified medical personnel in your school. If you don’t have the capacity to have them as full time staff, have them on standby from a nearby hospital or primary health centre. Preferably, have them visit the school at least once weekly to conduct medical care services. The security and safety architecture of a school cannot be complete without these professional personnel. There are companies that help schools hire security personnel just as we have safety professionals that provide consultancy services to train staff and students towards preparedness in case of emergencies. Employ their services to improve on the safety and security situation in your school. Fire incidents can be devastating on a school. This preventable incident can be curtailed with appropriate fire equipment available. Fire extinguishers, fire blankets, fire hose reels, smoke alarms, sprinklers and other fire safety equipment could be all that would salvage the situation, in the event of fire outbreak. Periodic fumigation would dispel the infestation of insects, and rodents from the school environment. It is a way of saving you money for other uses. Every person within the school must be familiar with safety, irrespective of professionals assigned for that. Safety rules can be taught as part of co-curricular activities or can be written on charts hung around the school. Everybody should recognise that the safety of all is the responsibility of all. Not every emergency can be internally managed in a school. Emergency contacts are therefore important. In Nigeria, we have the 112 and the 767 emergency lines available to connect with all public emergency services. Those of other countries may be similar or different. Know that of your country. You should also be familiar with the emergency contacts of your staff and students too by keeping proper records of that. With the help of professionals, you can always do routine safety exercises to assess the level of preparedness of everyone in the possibility of an emergency. Test the viability of your safety equipment at least bimonthly. Conduct safety drills. How prepare are you, in the event of an emergency in your school?